In June 1850 the House of Commons began what A. J. P. Taylor would later describe as ‘the greatest debate on the principles of foreign policy in our parliamentary records’. The challenges facing Britain in the middle of the nineteenth century were considerable; at home political discontent was still widespread and although the Chartist movement might have failed to force actual parliamentary reforms, the country was still some way from being politically stable and demands for greater democratic accountability suggested change was unavoidable. Meanwhile, on the international stage, Britain’s pre-eminent position seemed increasingly vulnerable: while it was one of the few European countries in which revolution had not struck in 1848, the changes in governments elsewhere and the rise of powerful new states on the continent threatened to disrupt the balance of power in Europe and create new imperial rivals. As everywhere the forces of constitutionalism seemed to be battling those of absolutism – in the Iberian peninsula, in central Europe, in the Ottoman Empire – Britain’s ability to position itself at the forefront of the forces of progress and freedom, upon which so much of its identity and influence rested, seemed increasingly difficult. I therefore fearlessly challenge the verdict which this House, as representing a political, a commercial, a constitutional country, is to give on the question now brought before it; whether the principles on which the foreign policy of Her Majesty’s Government has been conducted, and the sense of duty which has led us to think ourselves bound to afford protection to our fellow subjects abroad, are proper and fitting guides for those who are charged with the Government of England; and whether, as the Roman, in days of old, held himself free from indignity, when he could say Civis Romanus sum [I am a Roman citizen]; so also a British subject, in whatever land he may be, shall feel confident that the watchful eye and the strong arm of England, will protect him against injustice and wrong. This principle was an important part of the way in which Palmerston was infusing his foreign policy with an ideological spirit, backed up with an explicit commitment to action. By the end of the debate Palmerston apparently stood vindicated by a 46-vote majority for the government. Palmerston’s stock had rarely stood higher and outside Parliament the victory was taken as a statement of Palmerston’s (and the country’s) determination to uphold British interests and safeguard its people. The background to the episode is easily stated and centred on a demand for compensation for losses sustained by two British subjects, George Finlay and David Pacifico, in 1836 and 1847 respectively. Pacifico’s claim in particular captured the imagination of the public. Pacifico, a Gibraltar-born Jew, had claimed British assistance, as a British citizen, in his hitherto unsuccessful claims for compensation against the Greek government for damage to his property caused during anti-Semitic riots in Athens. It was Pacifico’s case that really ignited the affair, particularly once the British Government took up the cause when it became clear in 1848 that no settlement was forthcoming. 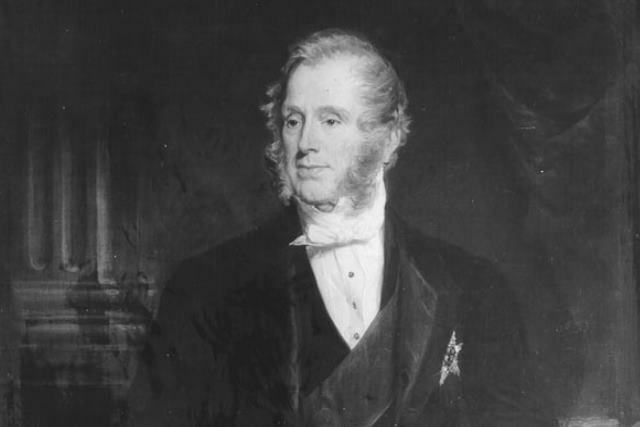 The claims were exaggerated, as everyone knew, but Palmerston’s willingness to back Pacifico was in reality a product of his desire to force a showdown with Greece over a number of issues, such as tensions between the two countries over government of the Ionian islands, and other claims for compensation, such as Finlay’s (who felt he should have received more money from the Greek government when some of his land was taken to form part of the royal palace gardens). In early 1850 the Royal Navy arrived in the Mediterranean charged with mounting a blockade of Greek ports in order to force concession to the demands for compensation to Pacifico and Finlay as well as, hopefully, forcing a settlement of outstanding disputes over territorial control in the Ionian islands. Fearing not least that this might damage Britain’s credibility and standing with the European Great Powers, a motion was introduced into the House of Lords by leading Conservatives censuring Palmerston and the Whig government in June 1850. That motion passed with a majority of 37 and threatened to damage not only Palmerston, but also the rest of Lord John Russell’s government along with him. Thus the debate moved to the House of Commons with a great deal at stake. William Gladstone did not hide his objection to Palmerston linking Britain with an enslaving Roman Empire at the end of his speech and Richard Cobden, the noted radical politician (and well-known champion of free trade and pacifism), issued his by now familiar warnings about the financial costs and moral failings of a bellicose foreign policy, but bolstered by his ministerial colleagues’ determination to save the government, Palmerston emerged victorious. The great seats of manufacturing industry became aware that they were fighting for their own cause in supporting a Minister whose protecting arm was over every one of his countrymen, at the Court of the most arbitrary despot, or amid the mobs of the most unbridled democracy; and last night the House of Commons worthily answered the call of its constituents, by a vote which has silenced and shattered all the elaborate intrigues of these foreign exiles and their English confederates. The Don Pacifico affair, and the ‘civis Romanus sum’ principle, therefore, became clear symbols of a deeper story of British support for liberal constitutional progress and the promotion of self-government by free peoples against perceived absolutist despotism throughout the world, whether that be through backing constitutionalists in the Iberian peninsula in the 1830s and 1840s, Poles in the 1840s, Italians in the late 1850s or Danes in the early 1860s – all were fighting for constitutional rights against autocratic regimes. As Foreign Secretary in the 1830s, Palmerston had spoken of constitutional states as the ‘natural allies of this country’ and described the forces of conservatism and reaction as ‘the immediate causes of all the revolutions that happen from time to time’. Tying western, liberal powers together would produce ‘many results favourable to the civilization and happiness of mankind ... in due course of time’. The only remarkable thing about the Don Pacifico affair then was its use of gunboats to promote these values. But it also created an image of Palmerston that appealed to Britons, including many of those who were without the vote but hungry for a sense of political progress and liberty, and perhaps even glory. And it boosted British ‘prestige’ on the international stage, creating an image of power and determination that would resonate at the Foreign Office long after Palmerston had left the stage. Commentators from across the political spectrum identified echoes of the Don Pacifico dictum in justifications for British intervention in Afghanistan and elsewhere in the 21st century. But as Edward Heath pointed out in an article in Foreign Affairs in the late 1960s, the ‘civis Romanus sum’ principle was an idealistic (and frequently unenforceable) one. It might have suggested a powerful country enforcing its liberal interests around the world, but in practice Palmerston’s foreign policy was always infused with pragmatism. A far better guide to British foreign policy, said Heath, was an earlier Palmerston speech, one made in 1848, when he had insisted that there was nothing dogmatic or binding about British foreign policy alignments: ‘Our interests are eternal and perpetual, and those interests it is our duty to follow’. As a blueprint for policy it certainly allowed for more freedom of action than the 1850 global policeman role seemed to imply. Yet an assertive, perhaps bombastic, Palmerstonian foreign policy generated a powerful image. Since, as Palmerston said, ‘every state would be disposed to give up three out of every four questions sooner than go to war to maintain them’, such images helped hide which three. But perhaps just as importantly, careful representation of policy served a valuable domestic purpose too, keeping a domestic population on-side with ideas and images that played to their hopes, aspirations and maybe also to their prejudices. While Palmerston’s response to events in Greece in the mid-nineteenth century might have seemed like a classic case of gunboat diplomacy, it was the subsequent justification of that policy that was to have most impact. Geoff Hicks, ‘Don Pacifico, Democracy and Danger: The Protectionist Party Critique of British Foreign Policy, 1850-1852’, International History Review, 26:3 (2004), 515-40. Copyright David Brown. This article was produced as part of the No10 Guest Historian series, coordinated by History & Policy. A number of paragraphs are repeated word for word. I suggest the page owner read and re-edit it. As usual a good, interesting read, thank you. Hi Ian, I have removed the duplicate paragraph. Thanks for spotting and bring to our attention. Glad you enjoyed the blog post. I was discussing Palmerston and today's British public mindset with my 17-year-old doing 'A'-level history, and recollected this speech but couldn't recall when he made it; I turned this article up on a Google search. Thanks! Annoyingly, Hansard online is missing Series 3, Volume 112, which is the volume that has this speech in.